You no like To-Do lists? 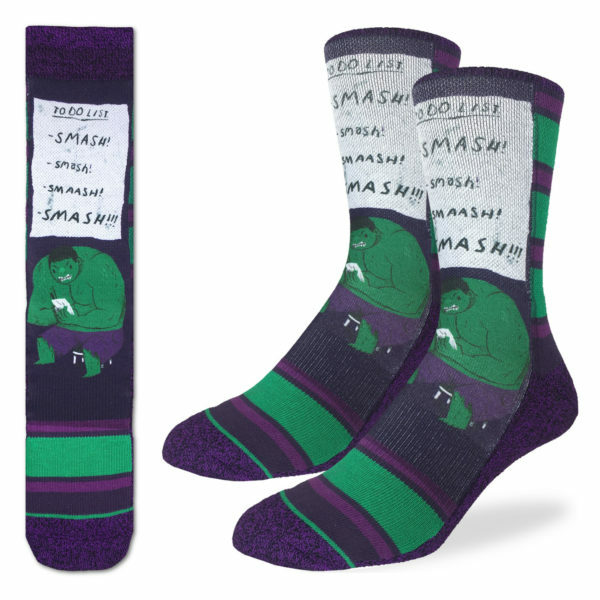 Then smash To-Do lists while wearing these printed superhero socks! The big green guy approves of this message.